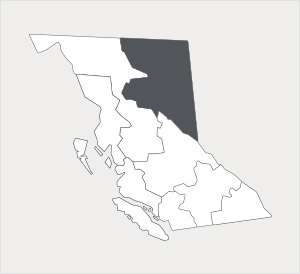 In the north east of the province lies the Peace River region – BC’s largest area that includes 32% of the province’s farmland*. Long daylight hours make for an awfully short growing season. Mountains in the south and west surround the generally flat prairie-like lands in the north and east. This climate and landscape make the region suitable for over 1,700 farmers to produce forage crops, dairy and beef cattle, and more increasingly potatoes, rutabagas, carrots, beets, cabbage, lettuce, peas, and even some tomatoes and sweet corn. 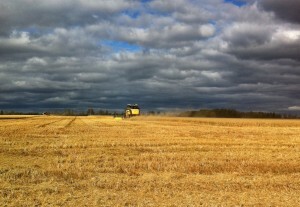 The abundant land is ripe for producing 80% of the province’s wheat, barley, and canola**. The region also features a sweet tasting, million-dollar honey industry comprised of 5% of the province’s honeybees – and for those playing Trivial Pursuit at home, BC has 2,000 beekeepers and 38,000 colonies of honeybees*. **Source: Agriculture in the Classroom, Canada. “A Guide to BC Agriculture Resources”. Pg. 9.